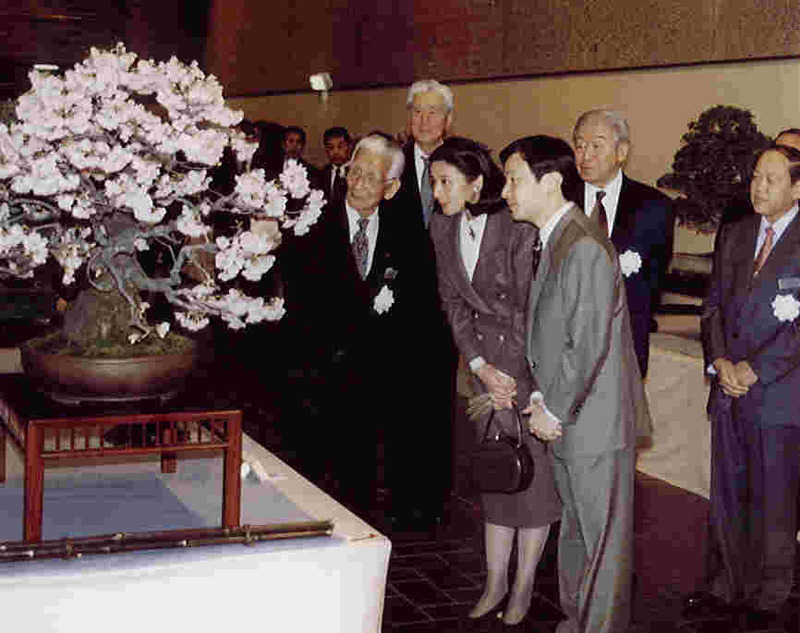 Every year in February Kokufu Bonsai Ten exhibition takes place at the Metropolitan Art Museum in Ueno Parc in Tokyo. You will be able to see some of the most outstanding bonsai trees. This exhibition always attracts quite a lot of people - most of them Japanese. We would be more than happy if our exhibitions attracted so many people! The majority of the visitors are Japanese, in between you may see some foreigners. It is not unusual to see here Mr. Saburo Kato or Mr. Kimura who are going to visit the exhibition with their customers. After each Kokufu Bonsai Ten exhibition there is a book available that shows again the displayed bonsai trees. The picture are of excellent quality. Although it may be a pity not to see the trees in the exhibition - there is the chance to see the pictures in the books.